The main advantage here is a HUGE 30 second HOJ cooldown reduction, combine that with your Arena gear, you're looking at a 6 second stun with a 20 second cooldown! Take advantage of that before it gets nerfed! Literally you'll have the guy stunned 1/3rd of the time, add Repentance to that and your opponent is basically on lockdown! You'll also get the new Divine Guardian, which at first may not seem like something to carry into arena, especially 2's.... but how many times has your partner been close to death while you're sitting at 90% life? This way you can help him stay alive a little longer. This was the old 0/5/56. With so many classes getting better stun abilities, you have got to put the 3 extra points into stoicism. You realy will need that 30% stun reduction. and the 53 points in RET get you the new improved Eye for an Eye (good against all crits, not just casters) Righteous Vengeance and Fanaticism (25% greater chance to crit, and 25% higher crit when it happens) Plus the new Divine Storm which will be awesome in 5's especially and will do a little heal anywhere. Good time are here my friends. Yeah, I am interested to take a gander at the new talents, but without the extra 10 points from leveling, I cant see me changing my SL/SL spec. I would like to try some new hotness on my Warrior though. Any news on our DPS after the Art of war nerf? Is Ret still causing havoc or has the nerf seriously hurt us? They seemed to have buffed Titans Grip and dual wield warriors are the melee dps kings now. S4 - Week 8: Bad night Kelf quits! 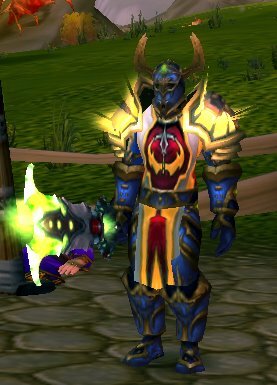 Am I a PRO Paladin?